Change is afoot in the energy system. Soaring demand in emerging markets, new energy sources, and the likely growth of electric vehicles (EVs) are just some of the elements disrupting the status quo. It is hard to discern how the aftershocks will affect the extraordinarily complex network of sectors and stakeholders. New research by McKinsey and the World Economic Forum has identified the game changers for companies and policy makers, as well as their implications. An array of energy technologies seems poised for a breakthrough. Within two decades, as many as 20 new energy sources could be powering the global economy, including fuel cells; small, modular nuclear-fission reactors; and even nuclear fusion. Fossil fuels will still be part of the mix, but renewables’ share is likely to grow owing to environmental concerns, further cost reductions that make renewable energy more competitive, and demand for electricity. Electricity demand is expected nearly to double by the middle of the century, propelled primarily by economic development in China and India (Exhibit 1). By 2050, electric power, which can be generated by low-carbon energy sources such as wind and solar, could account for a quarter of global energy demand. The confusion following a terrorist attack often exacerbates the fear, and sorting fact from fiction is difficult as the media races to uncover details and social media explodes with speculation. In the hope of mitigating some of this confusion in the future, Dan Byman offers nine questions to ask after a terrorist attack. This piece originally appeared on Lawfare. With perhaps ten or more dead in St. Petersburg in what looks like a terrorist attack on a metro station there, the questions are starting to mount. Is it really terrorism, or was there some other reason for the violence? If it is terrorism, who did the attack, and why this target? Is this an isolated event, or the beginning of a large campaign? These and other questions make the list long, but the queries after each attack are also familiar: Americans asked similar questions after attacks in Orlando and San Bernadino, and Europeans after violence in Paris, Berlin, and London. Horror and confusion mark the hours and days after a terrorist attack. At such a time, little can, or frankly should, be done to minimize the horror and associated outrage. The resulting confusion, however, often exacerbates the fear, and sorting fact from fiction is difficult as the media race to uncover details following an attack and social media explodes with speculation. When a sniper killed five police officers at a peaceful rally protesting police violence, authorities initially feared there were multiple attackers. Some jihadist plots initially labeled “Lone Wolf” attacks in fact involved links to an array of Islamic State figures, while in others the Islamic State role was at first exaggerated. Initial media reports form a lasting impression that is hard to shake and has a long-term impact on public attitudes and public policy. Years after the 9/11 attacks, people would still ask me about reports of al-Qaida financing itself by selling blood diamonds from Africa or the wave of follow-on attacks it planned—even though the 9/11 Commission and other investigations gave definitive accounts that discredited these initial reports. ** Can Pakistan Remain Neutral in the Saudi-Iran Rivalry? Raheel Sharif's role in a multinational coalition has tilted Pakistan toward Iran’s sphere of influence. In all likelihood, the Saudi-led IMAFT will exclude Iran, but will not be anti-Iran, focusing instead on counterterrorism. Those close to Sharif have said on Pakistani television that the coalition will promote intelligence sharing between Muslim-majority countries, which is critical as foreign fighters from the so-called Islamic State return to their home countries. Neither Sharif nor the coalition itself is likely to engage Iran in proxy wars, such as the disastrous Yemen war. Some fire: it still burns 50 years later, even as India seeks to sit on the high table of global affairs, as an overwhelming vote at home for inclusive progress turns out to have been interpreted by the victors as a mandate for exclusive persuasion. It began as a farmers’ protest from a cluster of three villages near Naxalbari in the Dooars region of northern Bengal, west of the regional airport at Bagdogra. In one district, Darjeeling, of one state, West Bengal. After five decades of undeniable socio-economic development, avatars of the rebellion—or “Naxalite” movement—that spread after leftwing radicals co-opted that farmers’ protest, continues to mark the failures of India as a nation. Last year, the ministry of home affairs (which tellingly has a Left Wing Extremism Division) recorded leftwing rebellion of various degrees of intensity in 106 districts across nine states. Seven years earlier, that count was nearly a third of India’s 600-plus districts, across 14 states. “Do you remember what happened that day?” I asked Punjab Rao when I visited him some years ago. Rao knew what I meant, this former Indian Army soldier from the Vidarbha region of Maharashtra who settled down in these parts after being decommissioned, and became a farmer-revolutionary. Fully withdraw. Combatus Interruptus. A decisive step that allows the bad guys free reign to re-instate all the bad stuff we went in to eradicate a generation ago. While it does get us out and reduces a great number of casualties and expenses, the future political blowback will probably be too great to accept. Why did we go there in the first place? Why did all those people get killed? Add a year and we will probably clamor to return to eliminate the AQ/ISIS/Talib reincarnated bed of bad guys and to re-instate education for adolescent females. An unlikely approach to either birth or battle control. Pakistan, Russia and China are one step closer to formalizing their alliance, with other nations – like Turkey and Iran – aimed at joining the superpower triangle. Pakistan and Russia are set to become part of an alliance with China despite Islamabad and Moscow’s decades-long rivalry after the Cold War. The Pakistanis and Russians seem eager to make a fresh start in bilateral relations while actively engaging with China to form a superpower triangle that would transform the volatile region. Islamabad and Moscow are no longer moving in opposite directions like they used to when partnering with the U.S. and India, respectively. Realizing the need to achieve stability and peace in Afghanistan after the U.S. has shown lack of interest in bringing regional stability, Pakistan, Russia and China are getting closer while seeking a solution to the Afghan crisis. After holding a series of bilateral and trilateral meetings, Islamabad, Moscow and Beijing are hammering out a peaceful solution to the Afghan war to prevent terrorism and radicalism from spilling into their borders. If a string of violent terrorist attacks across Pakistan in February and the latest metro bombing in Russia are any indications, terrorism is knocking on the doors of Islamabad and Moscow. While China is no stranger to being a victim of terrorism in its northwestern province of Xinjiang, the Chinese are more than willing to prevent the spread of terrorism in Pakistan to secure efficient implementation of the China-Pakistan Economic Corridor (CPEC) project, which connects Pakistan’s port city Gwadar to Xinjiang, China. Fears that the U.S. may be interested in dragging out the Afghan war for its own strategic interests in the region have drawn Islamabad, Moscow and Beijing closer together. Some experts believe that the three nations may be planning to stage a Syria-style intervention in Afghanistan, and the possibility of a formal alliance between Pakistan, Russia and China could transform all of Asia. In 1994, the Clinton Administration completed a comprehensive interagency review of U.S. policy toward Taiwan (the Republic of China, ROC), the first of its kind launched by an administration since the U.S. shifted official diplomatic recognition from Taipei to Beijing in 1979. This review resulted in important policy adjustments more in line with U.S. national security interests. The Taiwan Policy Review (TPR) was the most significant development in the U.S.-Taiwan relationship and the first review of policy since the 1979 Taiwan Relations Act (TRA), which governs nearly every aspect of U.S. foreign policy toward Taiwan. The TPR sought to clarify ambiguities in the U.S.-Taiwan relationship by simplifying U.S.-Taiwan interactions. Moreover, it sought to strengthen unofficial relations with Taiwan without disrupting official relations with the People's Republic of China (PRC). However, both China and Taiwan remained tepid about the TPR's reception because of its prolonged implementation process that dragged on for over a year. With the backdrop of the 1989 Tiananmen Square Massacre, and China's provocative weapons sales to Iran and Pakistan, the TPR received immense congressional pressure and became a high-profile issue. The TPR resulted in several principal changes to the dynamics of the U.S.-Taiwan relationship. For one, Taiwan's top leaders obtained permission to transit the U.S. under approved conditions, and U.S. officials could meet with Taiwan's president, vice president, and foreign ministers in their offices. In addition, the TPR authorized cabinet-level exchanges on economic and technical issues, as well as U.S. advocacy of ROC membership into international organizations, provided statehood was not a precondition for membership. Taiwan has since become increasingly active in multilateral organizations such as the United Nations (UN), International Monetary Fund (IMF), and the World Bank (WB), as a member or observer nation. Well past its 20th anniversary, the TPR, in hindsight, has significantly improved U.S.-Taiwan relations and the overall dynamics of trilateral relations in cross-Strait affairs. However, balancing the U.S. position in cross-Strait relations is a delicate task; the potential for rapid diplomatic deterioration remains, as current relations among the trilateral parties continue to be fraught with hazards, misunderstandings, and distrust. Therefore, in response to the changes in the security, political, and economic environment across the Strait, a new Taiwan Policy Review should be considered and conducted by the Trump administration. China's cyber warfare sights are reportedly set on disrupting the U.S. military. Defense One reported that in December 2015, China announced it had set up a Strategic Support Force – a version of the U.S. Cyber Command. But the new force's key focus is building capabilities to disrupt U.S. military operations, Martin Libicki, who leads cybersecurity studies at the U.S. Naval Academy, wrote in the The Cipher Brief. "China is pursuing the ability to corrupt U.S. information systems – notably, those for military logistics – and disrupt the information links associated with command and control," Libicki wrote. "The latter is also tailor-made for electronic war – hence the overall moniker for its effort, 'Integrated Network-Electronic Warfare.'" Though in November 2015 China and all other "Group of 20" nations agreed to aid and support each other against the hacking of intellectual property and other commercial entities, International Business Times reported, the Chinese have focused on the United States for fear of an "intervention into Asia," according to Libicki – specifically against the military. US President Donald Trump and Chinese President Xi Jinping are meeting now at Trump’s Mar-a-Lago estate in Florida. Most meetings between world leaders are relatively unimportant. This meeting is an exception, not because of whatever agreements or statements will emerge, but because of what it reveals about the current needs of the political administration of the world’s two largest economies. The issue of unfair Chinese trade practices was a recurrent theme in Trump’s campaign, and Trump needs to show his base that he can deliver on some of his promises. Xi wants to avoid straining US-China relations because he needs stability at home ahead of the Communist Party’s National Congress at the end of the year. While the US and China do not see eye to eye on many issues, they share a need for stability in the broad relationship right now. The three graphics below represent some of the fundamentals of this relationship. The story for China is simple. China achieved 30 years of rapid economic growth primarily by relying on exports. The US is the largest market for China’s exports. The Obama Doctrine, R.I.P. With this dilemma in mind, here’s a practical guide for navigating the key sticking points in this latest iteration of the Syria debate, from the perspective of someone who has called for direct intervention against Bashar al-Assad since early on the conflict. Military action does not equal regime change. The two, understandably, have become conflated because of the Iraq war. But military action can help, rather than undermine, diplomatic efforts. It is abundantly clear that the Assad regime will not negotiate in good faith or make any significant concessions on its own. We’ve hoped for that since the earliest Arab League efforts in 2011. The credible threat of force (or its use) is the only thing that is likely to change Assad’s calculus. If his survival isn’t at stake, he has little reason to negotiate much of anything.Not everything is Iraq. There is the danger of seeing airstrikes as a low-risk catch-all solution, a kind of military pixie-dust. At the same time, though, not everything is an Iraq-style invasion. America has any number of choices in between these two models of engagement. In Bosnia, air power forced the Serbs to the negotiating table, eventually leading to the Dayton Accords (a key example of military action in the service of diplomacy). Similarly, Muammar al-Qaddafi’s regime showed an openness to talks only after the 2011 NATO intervention in Libya, with Qaddafi envoys engaging in cease-fire talks within weeks. Which brings us to Syria, an ongoing military mission that is still a work in progress. Clearly, the Obama administration—via a combination of arming anti-Assad rebel factions and air strikes—was unable to topple the regime in Damascus. One view amongst the foreign-policy elite is that we must work with local partners in Syria but “we must choose the right partners.” Exactly who those right partners are is not entirely clear and our track record picking the right partners in Afghanistan and Iraq gives rational thinkers cause for pause. Indeed, there may not be any right partners and it is incredulous to think that it’s possible to create them, as some have suggested. The problem with regime change is not whether we can use military force to topple a regime. We certainly did that in Afghanistan, Iraq, and Libya—in different ways and at varying costs. But regime change is not about just getting rid of a regime. It’s about replacing it with a new government crafted in our image. *** Brexit's Potential to Fracture the U.K.
Editor’s note: An earlier version of this column was published Thursday before news of President Trump’s decision to strike a Syrian air base. This version has been updated. Consequently, the Army wants to enable the rifleman to accurately engage targets at a further range than the current 5.56mm. Although at this point, I’ll keep that exact exact distance close to the vest. The goal here is to foster a dialogue about the 7.62 requirement in general, and not offer operational specifics. It’s important to establish right up front that 7.62mm is not the Army’s end goal. The “Interim” component of this capability’s name relies on a plan to eventually adopt one of the 6.5mm family of intermediate calibers. Currently, elements of the Army are evaluating .260, .264 USA and .277 USA. The .260 is commercially available while .264 USA and .277 USA are developments of the Army Marksmanship Unit. Unfortunately, the US Army doesn’t plan to conduct an intermediate caliber study until the early 2020s. That’s why they want to adopt 7.62mm now. The idea is to adopt the Battle Rifle to deal with a newly identified threat with what’s available now, and transition the fleet to an intermediate caliber cartridge, once its selected. Additionally, the transition to this proposed intermediate caliber cartridge is possible from a 7.62 platform. Such a transition is all-but-impossible with the current 5.56 receiver sets. 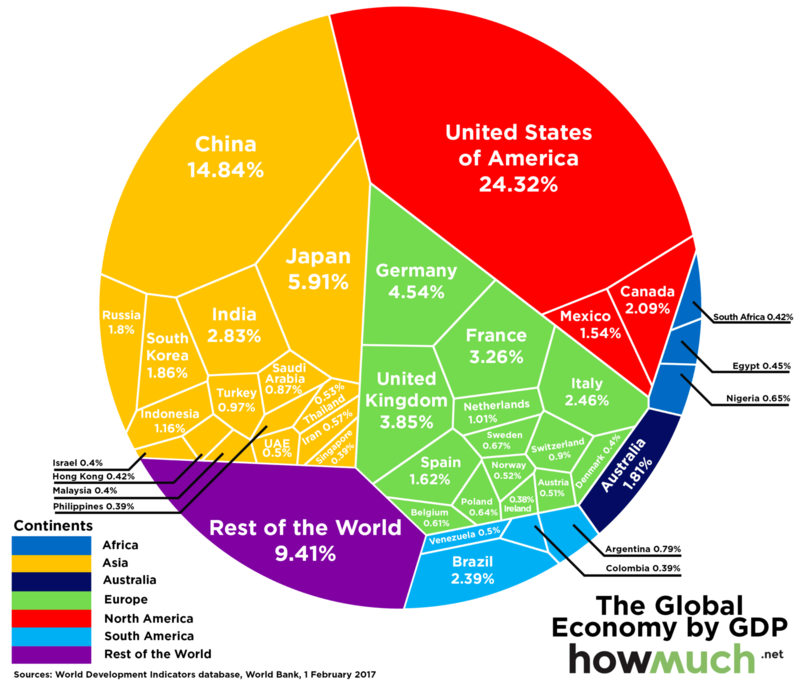 The latest GDP numbers from the World Bank were released earlier this month, and today's visualization net breaks them down to show the relative share of the global economy for each country. Nation states are employing more coordinated campaigns in cyberspace as opposed to unorganized, haphazard intrusions, according to a U.S. Cyber Command official. “My sense of what nations are doing in this space is its more coordinate[d], more interoperable from their perspective, and more structured and more integrated,” said Vice Adm. Tim White, commander of the Cyber National Mission Force at CYBERCOM. “They’re building what I would call campaigns, and they are being very thoughtful about it and purposeful in their approach. “One of the ways that we’ve shifted a little bit over the last couple of years is we’ve organized our forces to focus on the four of the four plus one — that’s commonly understood that the things the [Department of Defense] is organizing itself against — in my case that would always be the ability of the state actor to generate cyber power as an instrument” to counter U.S interests, he said during an April 4 panel discussion at the Navy League’s Sea-Air-Space Exposition. As such, his focus is squarely on Russia, China, North Korea and Iran. He noted that the U.S. is figuring out how to get at these groups and their coordinated efforts. Current and former officials recently told The Washington Post that adversaries will sometimes probe U.S. systems to see how the government might respond as a means of gaining insight to certain capabilities, tactics, techniques and procedures. 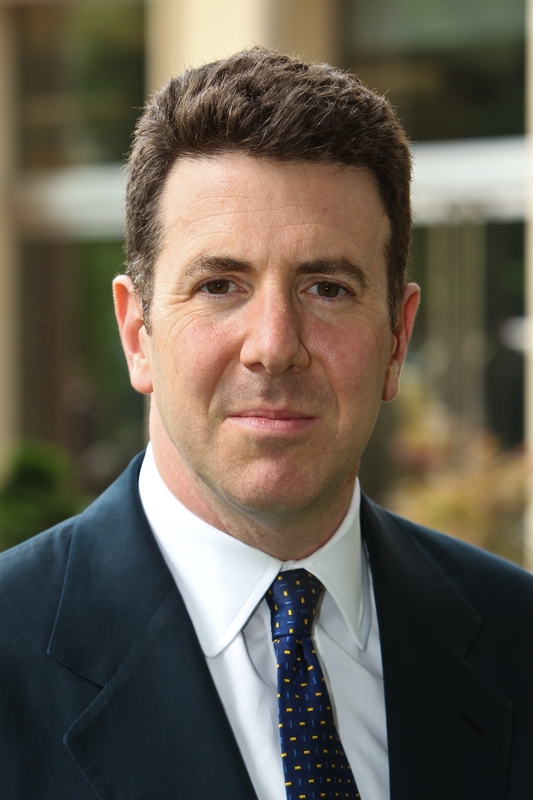 Complicating matters is the increased proliferation of commercial technologies; not only available to the U.S. and its partners but peer threats. “They have as much access to the commercial sector and advanced technology as we do,” White said. It’s a consumer- and commercial-driven market, he added.